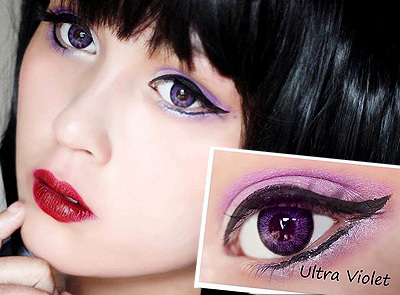 Nobody is born with violet eyes, but now, thanks to ColourVue Big Eyes Ultra Violet contacts you can enjoy violet irises on a daily basis! Despite their unusual color, they look amazingly natural and subtle. What's more, your eyes will look bigger when you wear them as their diameter is larger than in normal contact lenses and they are equipped with an outer black edge which makes the eyes more distinct.